Therapy, also called counseling or psychotherapy, is the process of meeting regularly with a credentialed therapist to resolve problematic behaviors, feelings, beliefs, and/or relationship issues. Therapy can help you change self-destructive behaviors and habits, resolve painful feelings, and improve your relationships. Once of the most important pieces of quality therapy services is a genuine, healthy relationship between the therapist and client. By creating a safe and confidential alliance while maintaining healthy boundaries, this relationship often serves as a model for the client to reference when thinking about other relationships or their relationship with themselves. 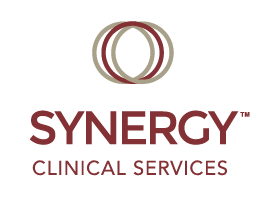 Synergy’s therapists have completed rigorous degree programs and earned one of three titles; Licensed Mental Health Counselor (LMHC), Licensed Marriage and Family Therapist (LMFT), or Licensed Master of Social Work/Licensed Independent Social Worker (LMSW/LISW). All of these titles require a Master’s degree, which typically involves 2-3 years of additional schooling beyond a 4-year Bachelor’s degree. In addition, several of our therapists have earned the title of Certified Alcohol and Drug Counselor/International Alcohol and Drug Counselor (CADC/IADC). Therapists with this degree are skilled at tailoring services to the unique needs of those struggling with addiction or substance abuse. What will I do in my sessions?